It's fall. It must be fall. The leaves are changing color and I heard geese getting ready to fly back south. 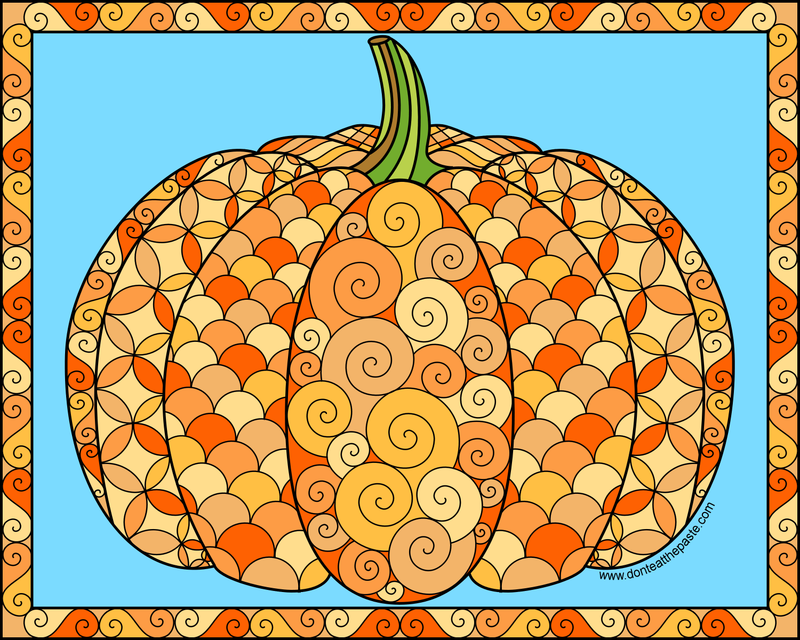 I hope you enjoy this pumpkin coloring page. Click for a larger version, print, color! Thank you for the beautiful pumpkin to color. My grandkids love these and I am always surprised at the colors they choose. I love the fall. My friend just spent two weeks vacationing up in Alaska and shared so many photos on fb. I have never been to Alaska and it sure is beautiful. I enjoyed the photos. She and her husband were on the Kenai Peninsula and Kodiak. They had the best time. Thanks, Shala! 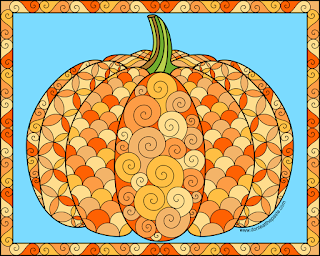 Great autumn image to color! 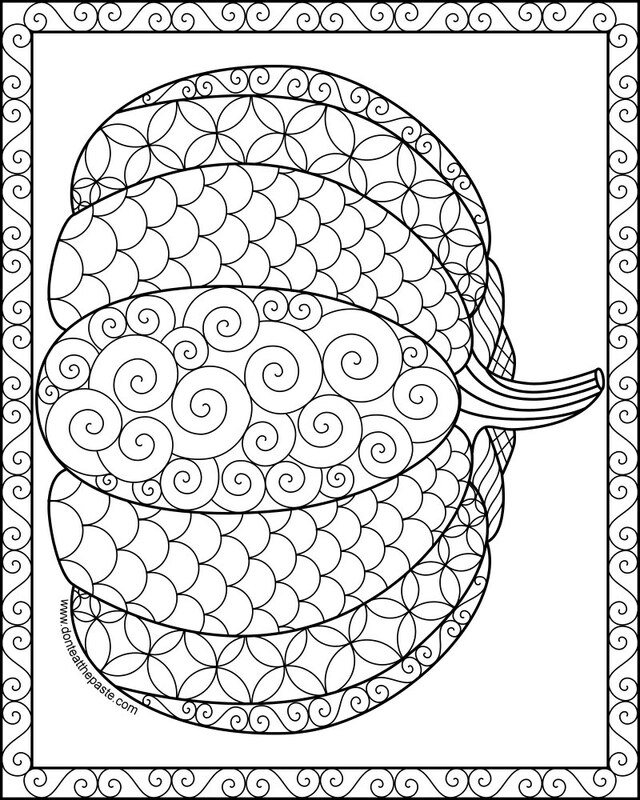 I'm sharing the link to the FB coloring group Color Me Crazy! Adult Colouring. Beautiful! Thanks for sharing. I'm a creativity coach and have been hosting adult coloring parties here in Dallas that are a big hit! I'll be sure to share you site with my peeps! THANK YOU! 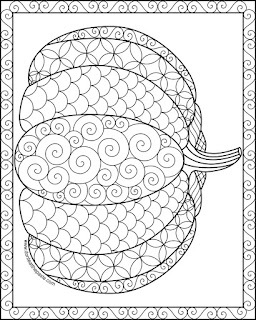 CINDY KELLER - I am looking for your coloring group, but can't find!